Is It Time To Say Goodbye To Styrofoam? Home - Blog - Is It Time To Say Goodbye To Styrofoam? It is a well-known fact that the widespread use of Styrofoam has a severe negative effect on the environment. Not only that, but it also poses a serious health risk to people around the world. Styrofoam containers, which are used virtually everywhere, release the toxin Styrene when in contact with warm food and beverages, alcohol, oils, and acidic substances. This means that Styrofoam is slowly poisoning all of us who have ever consumed food or drinks out of these containers, which are unfortunately omnipresent. 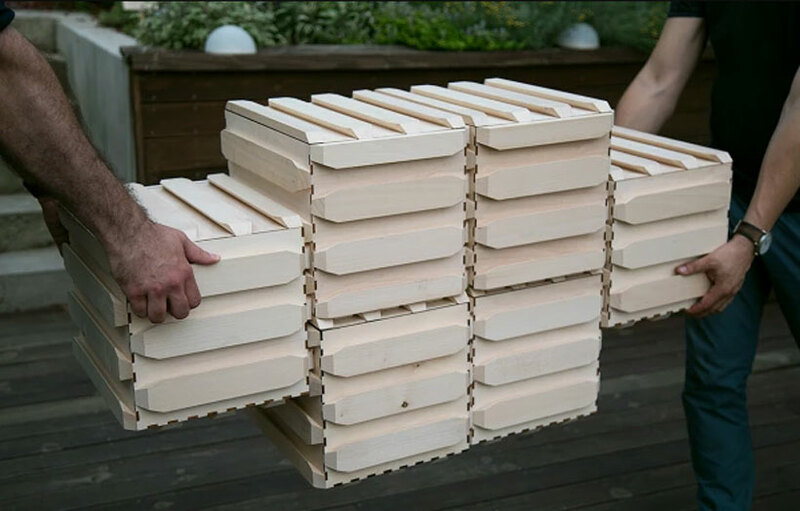 Luckily, a group of talented young innovators has decided to make a difference by creating a completely natural, 100% recyclable, nature-friendly alternative to Styrofoam – the Woobox. 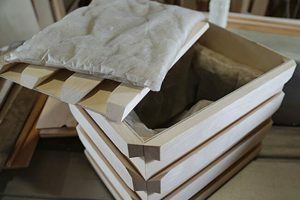 The WooBox is a container exclusively made of wood and naturally processed wool. 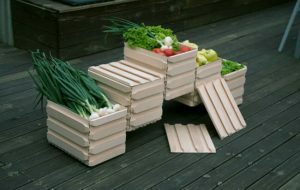 It was designed primarily for the purpose of transporting fresh food. However, it can also be used for displaying produce in farmers’ markets or even displaying goods in closed spaces. Due to its versatility and attractive design, it can even be used to form shelves and other types of DIY furniture. The WooBox is the complete opposite of Styrofoam. It is absolutely safe, causing no harm to the environment during the manufacturing process and posing no health risk to humans at any point. Being fully recyclable, it solves the problem of excess waste generated by the usual packaging. The box also boasts incredible functionality. With a capacity of 30 kg, a volume of 21 l, and the possibility of joining multiple boxes so they comprise a compact whole, the WooBox can be easily used for larger shipments. Its exceptional thermal insulation properties make it perfect for long distance transports. The creators of the WooBox want to raise awareness about the negative effects of Styrofoam and introduce the world to the new all-natural alternative to this dangerous material, which is why they have started the “No More Styrofoam” project. Their goal is to use this project to reach out to environmentally aware individuals who would be interested in supporting their cause. They hope that the project would lead to the creation of a small startup that could grow into something bigger if enough people recognized the potential of this revolutionary product. If you are worried about the horrible impact of Styrofoam on the environment, yourself, and other people and you believe that the noble cause that motivated the creation of the WooBox is worth fighting for, this is how you can contribute. Supporters of the “No More Styrofoam” can purchase items including pins and portraits with the supporters’ photos and “No More Styrofoam” tags, recycled wool covers for phones, tablets, and laptops, WooBoxes for multiple purposes, including food storage and home décor, WooBoxes with custom engravings, and more. You can invest as little as $20 or as much as $1000 and get these lovely items you can use every day. Supporters who wish to invest a larger amount of money ($5,000) can also support the project by providing funds for employing a worker. They will receive a thank you card and have plaques with their names placed in the workshop in honor of their contribution. Supporters who invest $10,000 in the project can enable the workshop to start production and make the dream of a Styrofoam-free environment come true. In return, the team will fly these generous supporters to Serbia, where the boxes are produced. The supporters will get to spend 4 days with the team, visit the workshop, and have a great time in Belgrade, the capital of Serbia, as well as in the gorgeous Serbian countryside. The price of a single WooBox is $80 and the price per box goes down with larger purchases. This may at first seem a bit pricey, but keep in mind that due to the durability of the natural materials, you can use your WooBox over and over again since it can basically last forever. We are so happy that we have the chance to support this wonderful cause. If you are a nature lover yourself, join us and help these young people make a better world for our children. We can make a difference today!